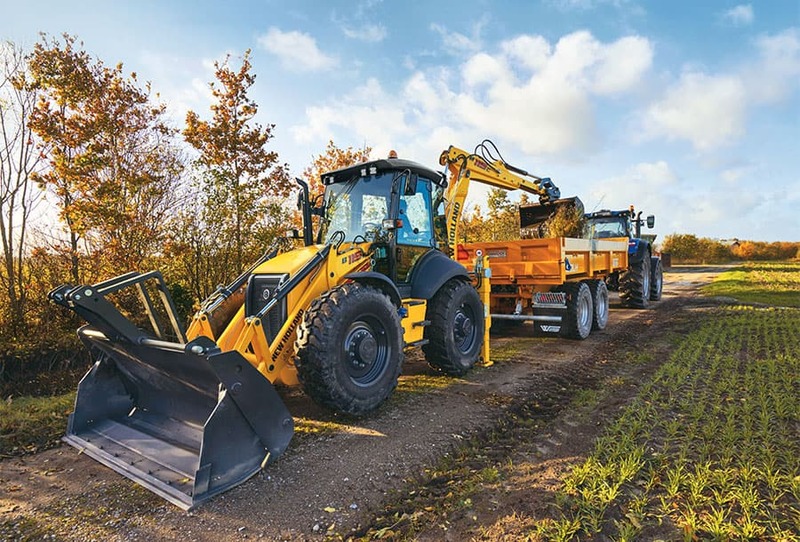 Many business operations will have a need for a loader that offers the versatility to do a lot more than just move bulk material. 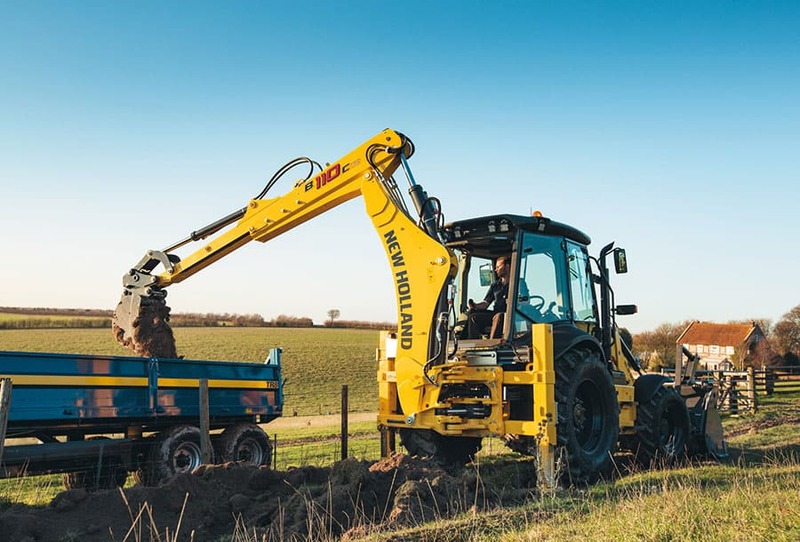 Typical alternative applications will include grading and levelling, the ability to grab heavy items such as trunks and concreate pillars plus a tractor unit with the traction and power to push materials or items into place or out of the way. 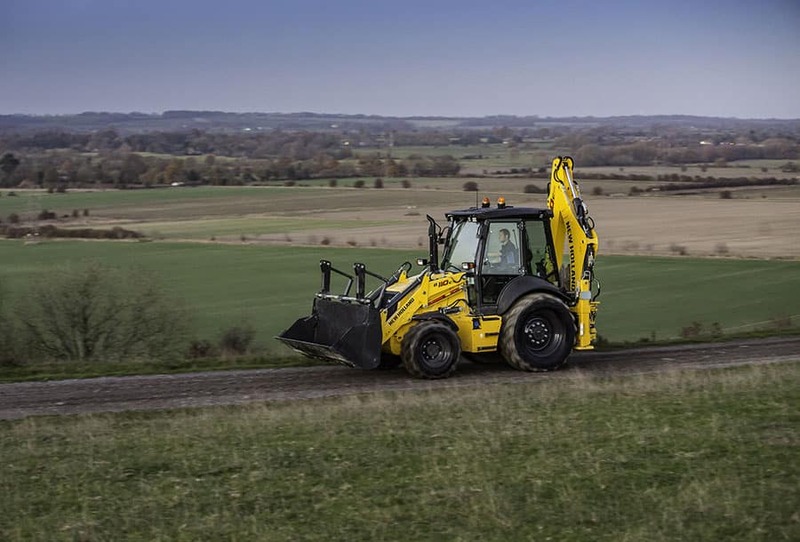 With a 4 in 1 bucket, a backhoe loader will deliver this exceptional performance with just the one attachment. Choose a 6 in 1 bucket and you have the option to flip down adjustable pallet forks, ideal for handling palletised loads without the need for a dedicated vehicle. 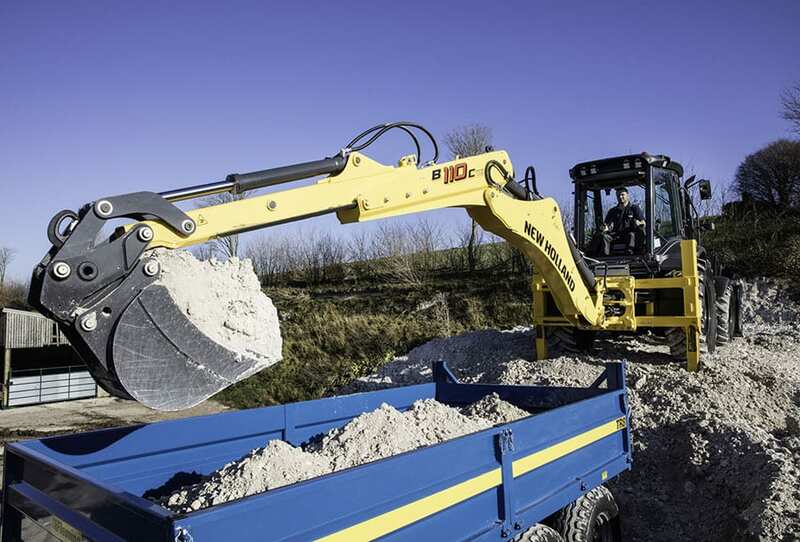 The backhoe can be equipped with a wide choice of buckets to match excavation, water course clearance, trenching and other demands. Post hole borers, hydraulic hammers and countless other tools can all be fitted. 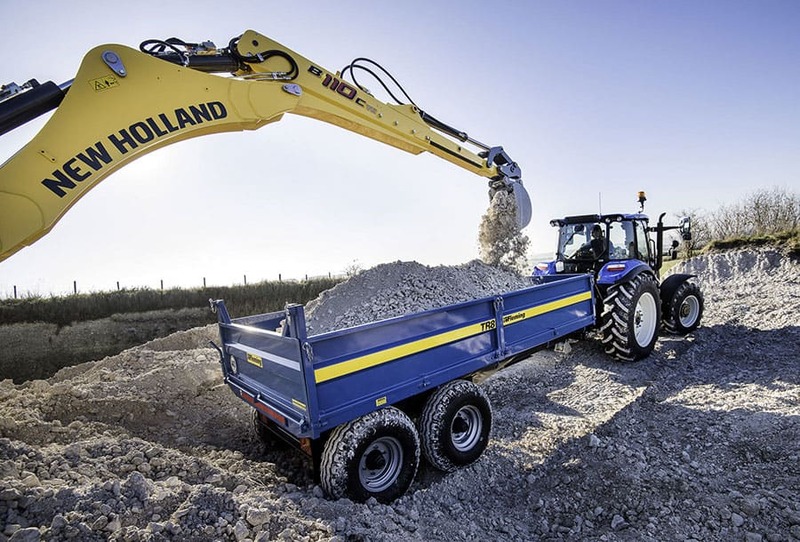 The long reach of both the standard and telescopic dipper, up to a massive 6529mm, allows long reach and digging depth comparable to many conventional dedicated excavators. 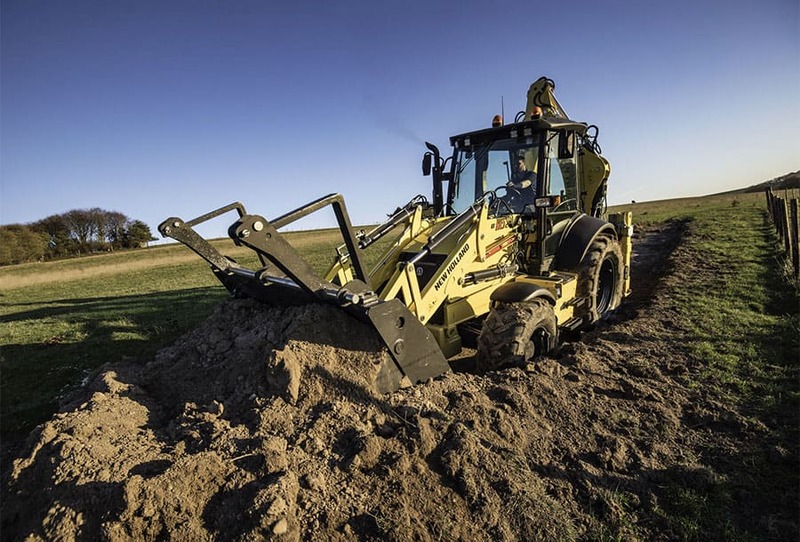 There are no performance compromises with a backhoe loader. 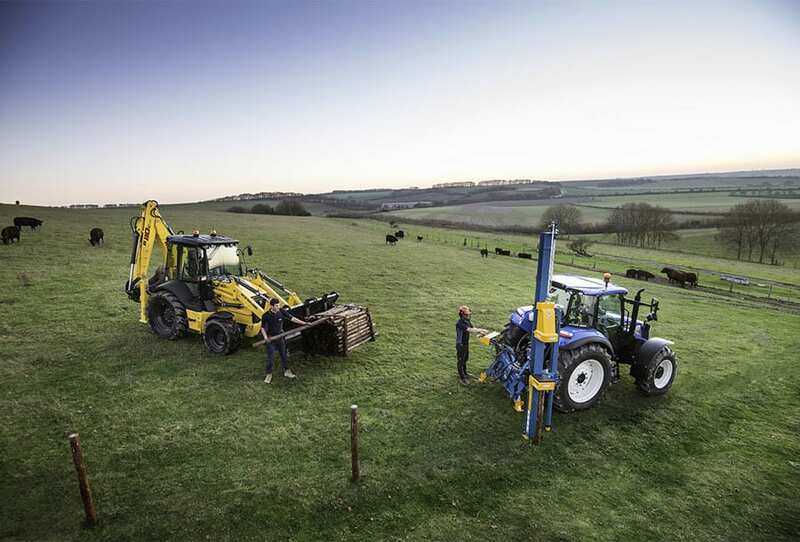 New Holland backhoe loaders are your versatile choice for loading, grading, grabbing, lifting, excavating, digging, planting, post hole boring and, well the list goes on. 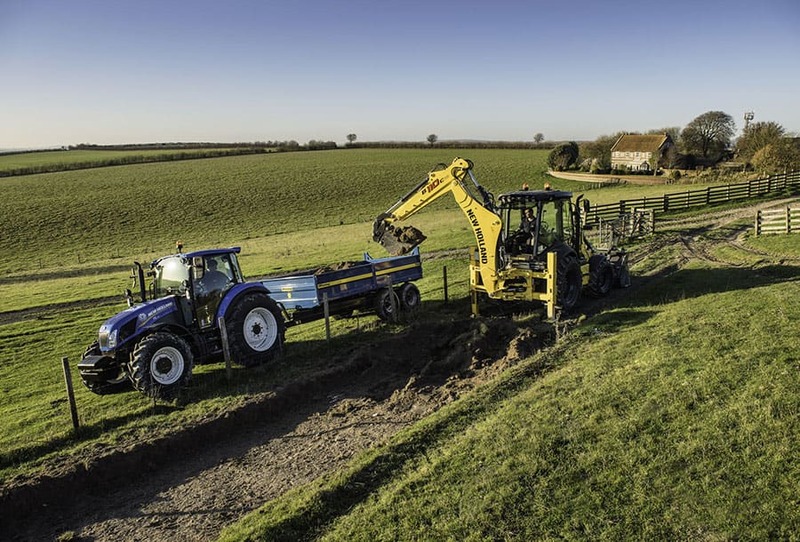 Businesses from agriculture through to horticulture, landscaping through to drainage and irrigation need versatile and cost effective equipment. 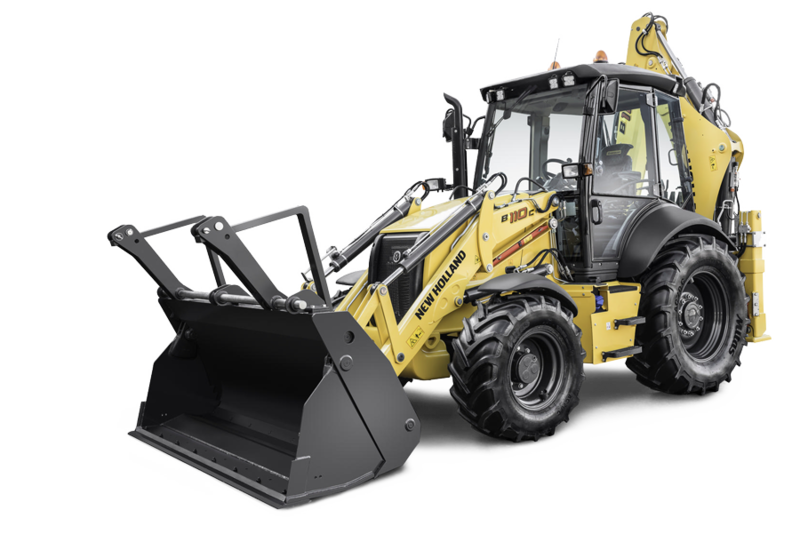 With a backhoe loader there are loader and backhoe specification choices. 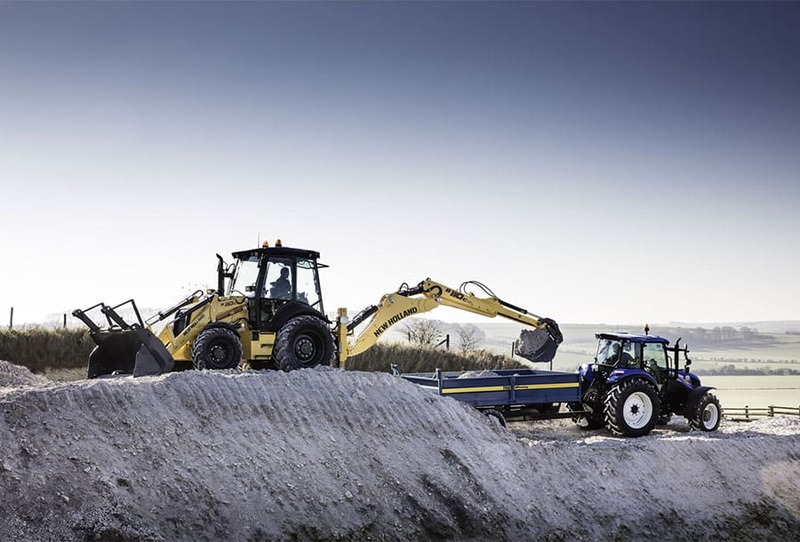 The all-wheel steer B115 C boasts powerful performance in challenging conditions with no compromise on agility. Entry level B100 C models are affordable but come with a high standard specification to suit a wide range of needs. 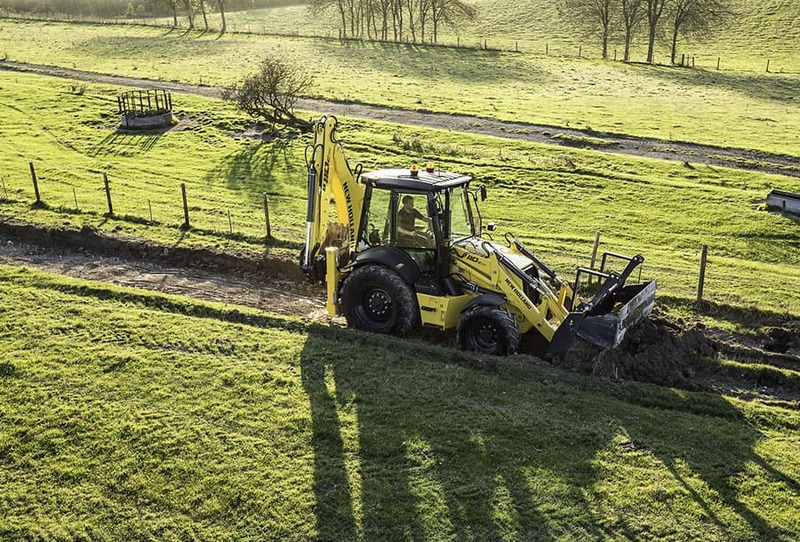 Available through selected New Holland Agriculture dealers, the latest C series backhoe loader is one investment that will never be short of work.